Enugu State Executive Council (EXCO) has approved N2,572,686,367 for the construction of new classroom blocks and renovation of dilapidated structures in primary and junior secondary schools in the state under the Universal Basic Education Board (ENSUBEB). Part of the approval, aimed at improving the standard of education and creating a conducive learning environment in the state, according to the state Commissioner for Education, Prof. Uche Eze, who briefed newsmen after the meeting of the council, was the procurement of classroom plastic chairs and desks, white boards and sporting equipment. Uche also disclosed that the council in keeping with the four-point agenda of Gov. 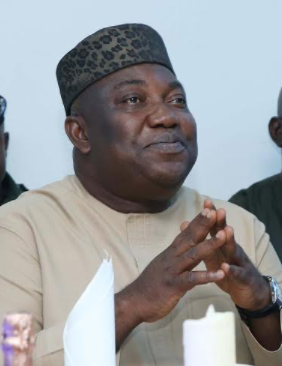 Ifeanyi Ugwuanyi’s administration as it concerns quality education and welfare of workers, approved N271 million as bailout fund to Enugu State University of Science and Technology (ESUT) to enable the institution offset the remaining 7 months monetization arrears owed its workers. The education commissioner explained that prior to the inception of the present administration, ESUT workers were owed 14 months arrears of their monetization, recalling that the state government three months ago had approved an equivalent amount for the institution, which was used to pay the first phase of 7 months arrears, accordingly. “These arrears of monetization owed the staff of ESUT dated back as far as 2006. This is the money owed by previous administrations. But His Excellency in his magnanimity and concern for the welfare of staff of the state has made this fund available to make these workers happy and motivate them to put in more efforts to ensure that educational delivery is improved” he said. The post Enugu approves N2.5bn for construction, renovation of classroom blocks, others appeared first on Vanguard News.